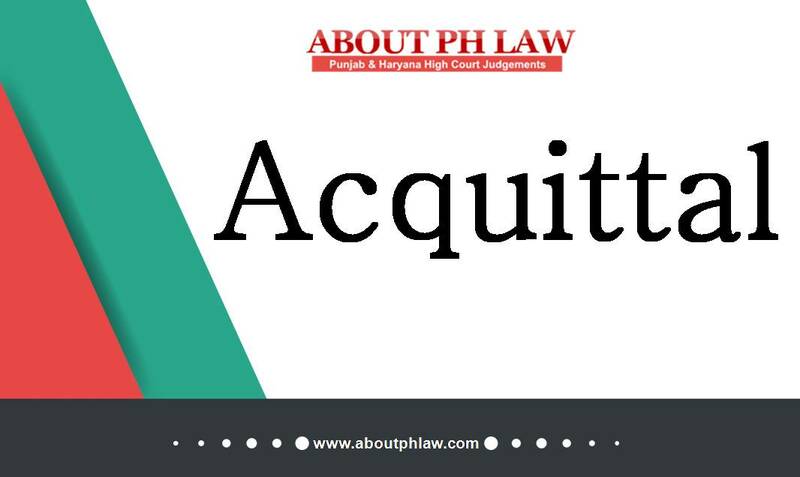 Narcotic Drugs and Psychotropic Substances Act, 1985, S.18–Non Commercial quantity-Reduction in Sentence-Petitioner was sentenced to two year-­Reduced to 8 months and 15 days already undergone- Held; (i) During bail appellant has not repeated the offence and was not previous convict and has shown improvement in his character. (ii) Son of appellant is 100% blind and is wholly dependent on him as wife of appellant has already died. (iii) Appellant is only bread earner of family and working as a labourer in private factory-Criminal Procedure Code, 1973,8.482. Comments Off on Narcotic Drugs and Psychotropic Substances Act, 1985, S.18–Non Commercial quantity-Reduction in Sentence-Petitioner was sentenced to two year-­Reduced to 8 months and 15 days already undergone- Held; (i) During bail appellant has not repeated the offence and was not previous convict and has shown improvement in his character. (ii) Son of appellant is 100% blind and is wholly dependent on him as wife of appellant has already died. (iii) Appellant is only bread earner of family and working as a labourer in private factory-Criminal Procedure Code, 1973,8.482. Narcotics—Personal Search—Accused posed faith in raiding party and gave written consent for being searched by raiding party—Held; this does not satisfy the requirement ofS.50 NDPS Act—Accused acquitted. Narcotics–Personal Search—Search before Magistrate or Gazetted officer is mandatory requirement and strict compliance thereof is mandated. Comments Off on Narcotics—Personal Search—Accused posed faith in raiding party and gave written consent for being searched by raiding party—Held; this does not satisfy the requirement ofS.50 NDPS Act—Accused acquitted. Narcotics–Personal Search—Search before Magistrate or Gazetted officer is mandatory requirement and strict compliance thereof is mandated. 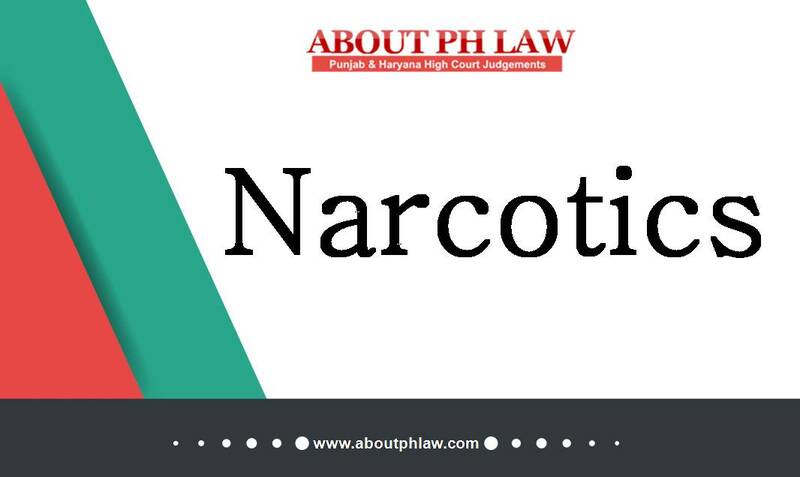 Narcotics—Burden of Proof—Mere registration of a case under the Act will not ipso facto shift the burden on to the accused from the very inception. Narcotics—Case Property—Mere fact of a FSL Report being available is no confirmation either of the seizure or that what was seized was contraband, in absence of the production of the seized item in Court as an exhibit. Comments Off on Narcotics—Burden of Proof—Mere registration of a case under the Act will not ipso facto shift the burden on to the accused from the very inception. Narcotics—Case Property—Mere fact of a FSL Report being available is no confirmation either of the seizure or that what was seized was contraband, in absence of the production of the seized item in Court as an exhibit. Narcotics—Personal Search—Accused posed faith in raiding party and gave written consent for being searched by raiding party—Held; this does not satisfy the requirement of S.50 NDPS Act—Accused acquitted. Narcotics—Personal Search—Search before Magistrate or Gazetted officer is mandatory requirement and strict compliance thereof is mandated. Comments Off on Narcotics—Personal Search—Accused posed faith in raiding party and gave written consent for being searched by raiding party—Held; this does not satisfy the requirement of S.50 NDPS Act—Accused acquitted. Narcotics—Personal Search—Search before Magistrate or Gazetted officer is mandatory requirement and strict compliance thereof is mandated. Narcotic—Rate of Purity—Whether the actual content by weight of the narcotic drug, is relevant for the purpose of determining the quantity with reference to the quantum of punishment—Matter referred to larger bench. Comments Off on Narcotic—Rate of Purity—Whether the actual content by weight of the narcotic drug, is relevant for the purpose of determining the quantity with reference to the quantum of punishment—Matter referred to larger bench. Narcotics—Non-joining of independent witness—If an independent witness is available, and the prosecution initially seeks to rely upon him, it cannot suddenly discard the witness because it finds him inconvenient, and place reliance upon police witnesses only. Comments Off on Narcotics—Non-joining of independent witness—If an independent witness is available, and the prosecution initially seeks to rely upon him, it cannot suddenly discard the witness because it finds him inconvenient, and place reliance upon police witnesses only. Contraband–Secret Information–Fax message–The contents of a document could be held to have been proved in terms of section 66 only when the contents are decipherable and not otherwise. Contraband–Secret information–An officer who received such information was bound to reduce the same in writing and not for the person who hears thereabout. Comments Off on Contraband–Secret Information–Fax message–The contents of a document could be held to have been proved in terms of section 66 only when the contents are decipherable and not otherwise. Contraband–Secret information–An officer who received such information was bound to reduce the same in writing and not for the person who hears thereabout. Narcotics—Default in fine—In the event of default of payment of fine, the convict not to undergo imprisonment. Comments Off on Narcotics—Default in fine—In the event of default of payment of fine, the convict not to undergo imprisonment. Narcotics—Superdari—Vehicle can be released in favour of petitioner who is power of attorney holder of registered owner. Comments Off on Narcotics—Superdari—Vehicle can be released in favour of petitioner who is power of attorney holder of registered owner. Witness—Non-Examination of one of the cited witness—Not a fatal defect. Comments Off on Witness—Non-Examination of one of the cited witness—Not a fatal defect.